Amen. We have too many who want to deny education and thoughts unless they follow a narrow path. Oklahoma has joined the latter ranks with their AP US History change and should be spotlighted for their decision to limit knowledge. Sort of like when Kansas decided NOT to teach Science, but to teach “Bible” instead. (*smashing head against wall*) It frightens me how purposely stupid people can be . . . Like the woman that told me that my cancer was because I “brought it on myself” because I wasn’t “God Fearing”. Uh, if I have to “Fear” a god figure, that isn’t the kind of got figure I need in my life… can I have the god figure that is kind and loving and generous? Thanks. In volunteer work to help homeless people, there are some who think the impoverished are less pious which is why they have no money. Truth be told, the folks I have worked with are very devout as they only have their faith. That’s what that beautiful thing called freedom is all about. Yes, exactly. We can all have varying opinions but class and integrity as well. 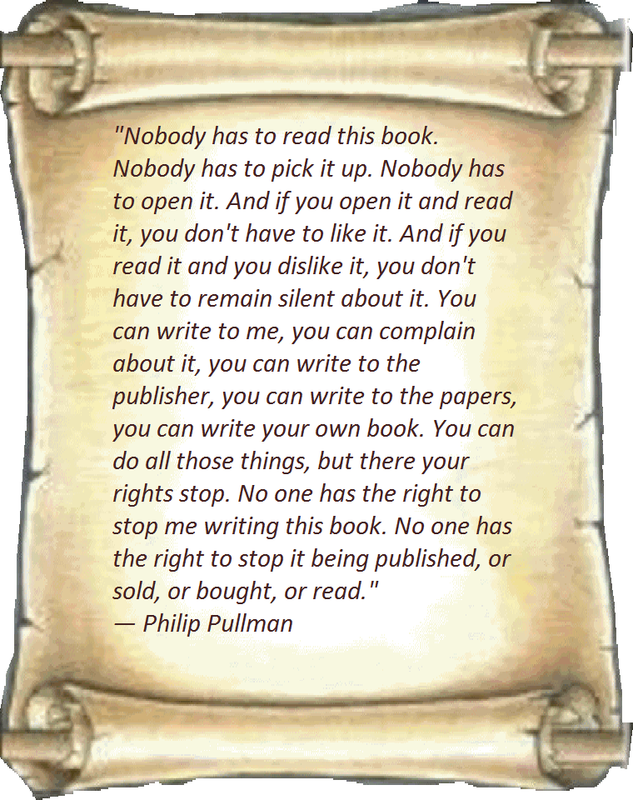 I am against censorship in reading, just because of what was said here. We have a choice to read or put a book down.. Take care!